Looking for a dream home in Spain? You will find the most beautiful (semi-)detached villas from bank repossession at our website. Below you can find a list of our current best villa deals, divided by region: Villas in Costa Del Sol (Málaga) Costa Blanca (and Alicante), Costa Brava, Valencia and Tenerife. If you find one (or several) of these homes interesting, feel free to fill in the form, that you will find under the description of the specific property. Of course it is possible that you are interested in other homes or different regions and/or Costas. You can continue your search on our website. You can also subscribe to our Bargain Alert: based on your specific criteria, we can send you the latest bargain updates. Below you will find an overview of magnificent villas in Costa del Sol. Search more properties? 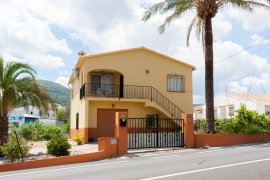 Below you will find an overview of magnificent villas in Costa Blanca. Search more properties? 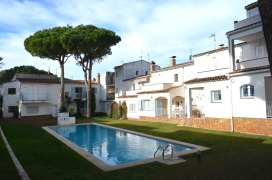 Below you will find an overview of magnificent villas in Costa Brava. Search more properties? Below you will find an overview of magnificent villas in Costa Valencia. Search more properties? Below you will find an overview of magnificent villas on Tenerife. Search more properties?